Here and there, I am known to partake in some pipe tobacco. This was far from uncommon among sailors of the eighteenth century. 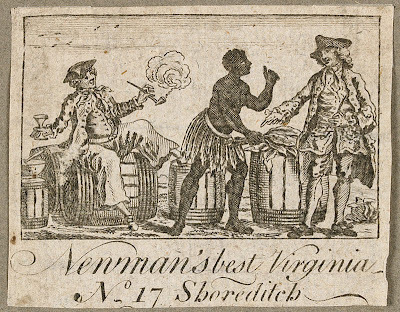 Take this tobacco label from the mid eighteenth century by way of example. 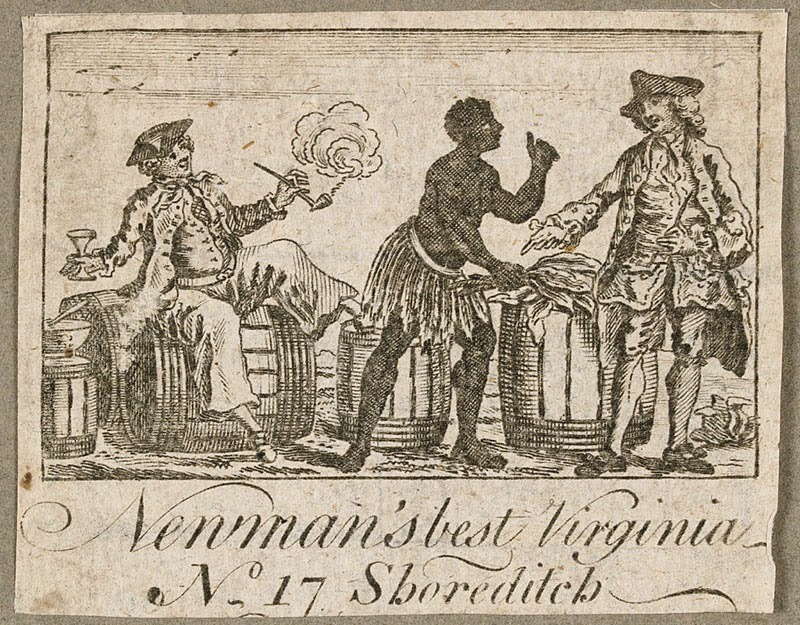 "Newman's best Viginia" tobacco label, British Library. The issue with smoking aboard ship is an obvious one: open flame does not mix well with tar, wood, and canvas. Interestingly, this problem was addressed in the eighteenth century with pipe lids. 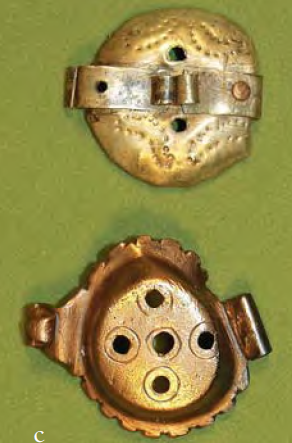 The Wreck of the General Carleton has turned up many artifact, and not least among these are a pair of brass pipe lids. 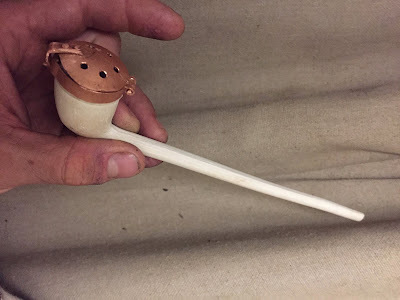 Are there any sailor's tools or pleasures that you have had the opportunity to acquire? Share them and your stories of the sea! Very cool. I remember seeing examples of pipe lids used by french hay farmers that were used for keeping the embers from blowing out and destroying a hard earned harvest. Traditionally they also smoked their pipes upside down to prevent rain from dampening their enjoyment. 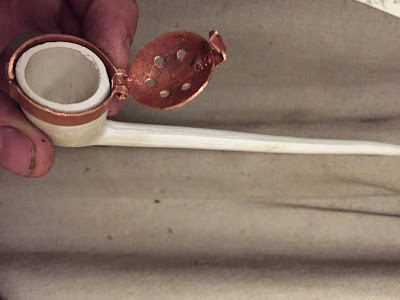 As a pipe enthusiast and frequent sea-goer myself I use a pipe lid in a high wind environment to keep my tobacco from "cooking off" between puffs. Its no fun to only get a fraction of the usage out of a bowl of tobacco because the majority of it burned away in the wind!